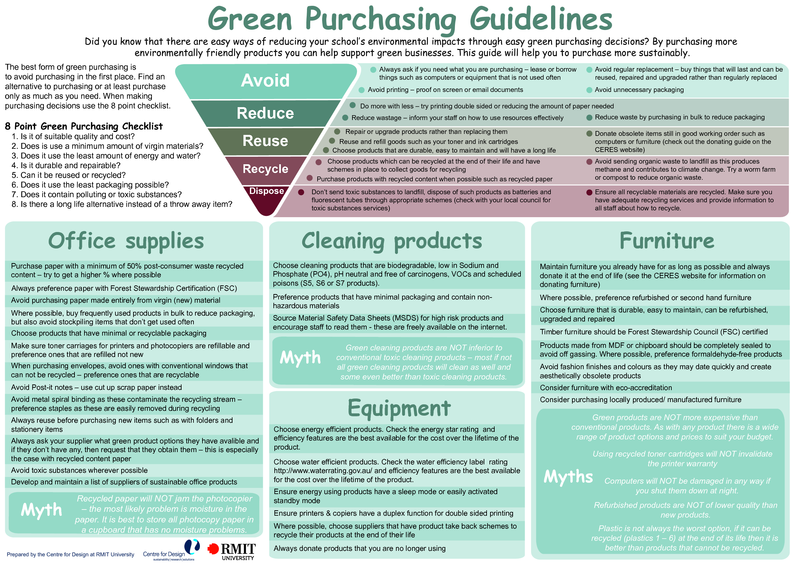 The topic of sustainable procurement is also known as green purchasing. For many businesses, goods purchased may become their scope 3 greenhouse gas emissions. The volume of these emissions should not be under-estimated. Furthermore, the corporate social responsibility dimensions of supply chains can present significant risks for businesses, such as ethical and reputational risks. In 2017, there is a new ISO standard for sustainable procurement – Guidance. ISO 20400:2017 provides guidance to organisations, independent of their activity or size, on integrating sustainability within procurement, as described in ISO 26000. Planet Procurement has a strong reputation in sustainable procurement and training. They have a module available online through the Green Building Council of Australia. Action Sustainability (a social enterprise) has produced a series of short films about sustainable procurement and related topics. It features Cathy Berry lead author of the British Standard for Sustainable Procurement (BS 8903). Here are a couple of the films available. Green Star information on product certification – includes a comment on Volatile Organic Compounds (VOC) and formaldehyde. Here’s Jimmy Brannigan’s presentation on getting started with sustainable procurement. Jimmy has worked closely with many tertiary education institutions in this area (particularly in the UK and Australia).